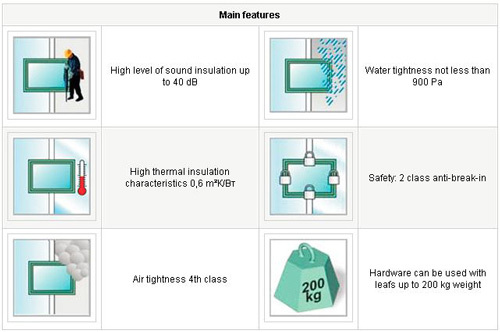 Thermal insulated profile system ALT GS106 is the best solution for lift-and-slide door and window construction to be used in hotels, restaurants, private apartments (houses) and cottages. 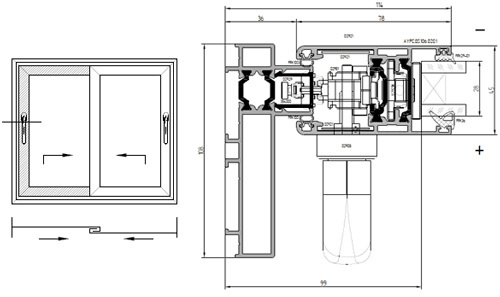 Thanks to its high functionality the system provides wide range of the performance of big wall apertures. Lift&slide constructions can be performed with 2, 3 or even 6 leafs. 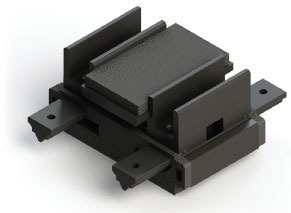 Moreover, sliding and fixed parts can be combined. 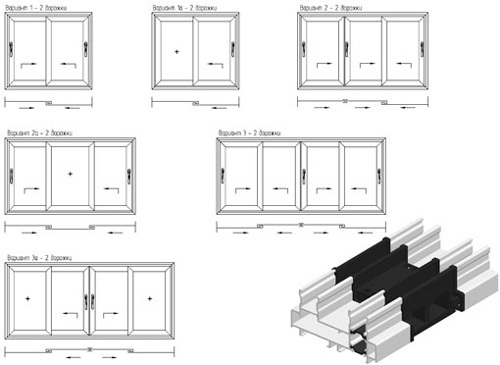 Thermal insulated lift & slide doors – is a new development in door manufacturing sphere. Its main purpose is not only the function of entrance, but also a possibility to replace a standard wall, as it offers high level of penetration defense. The door height can reach 2.7 meters when weight is up to 200 kg. Lift & slide doors allow enlarging of room illumination and saving the actual living space. 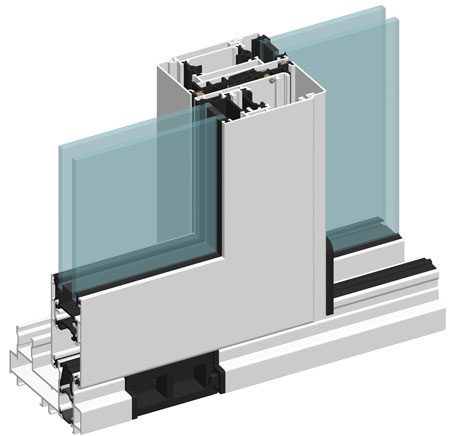 This window type is widely used by glazing of balcony, loggia, terrace and mansards. ALT GS106 unique functionality helps to connect the inner room with terrace in summer, to save it warm in winter and to provide a magnificent look. possibility of constructions with max. weight up to 200 kg. ALT GS106 system is delivered with full accessories list from Giesse company. additional articles: locks, handles and cover plate. Construction T-REX, that is used in ALT GS106, is manufactured in accordance with developed by Giesse company and patented technology and has a possibility to withstand any bad weather conditions. In comparison with analogs ALT GS106 provides the best thermal insulated characteristics, high hermeticity rates, possibility to take away large volumes of water. two types of leaf help to create an elegant construction without unnecessary lines and classical construction with simple manufacturing technology (img. 3). New type of one-railed frame profile, designed especially for vertical frames, gives the construction esthetic look and makes it more practical. (img. 4). In ALT GS106 system transom bar can be embedded either with or without glass bead. It allows developing new design solutions in sliding constructions.